RED HEART® “Curly Q™”: 1 ball 7961 Patchwork. Susan Bates® Easy-Wrap Pompom Maker 3½” (or pompom maker of choice), scissors, 6” length of nonstretchy yarn. Follow the package instructions for assembly of the pompom maker. 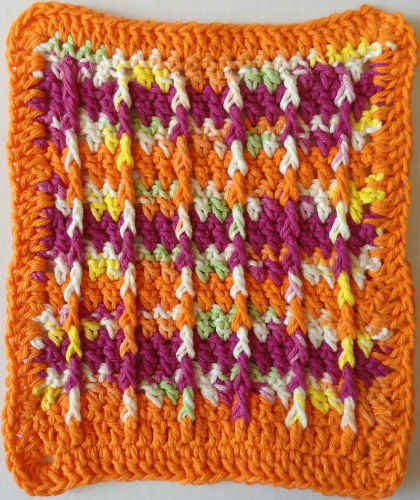 Take one side of the pompom maker and wrap yarn 40 times. Repeat with the other side. Match up both sides of pompom maker. Insert scissors between pieces on one side of the pompom maker and cut the yarn. Repeat cutting of yarn with the other side. Before releasing the pompom maker, take piece of non-stretchy yarn and guide it through pompom maker; tie a knot directly in the center of your wraps. Pull finished pompom out of pompom maker. Trim any uneven ends. 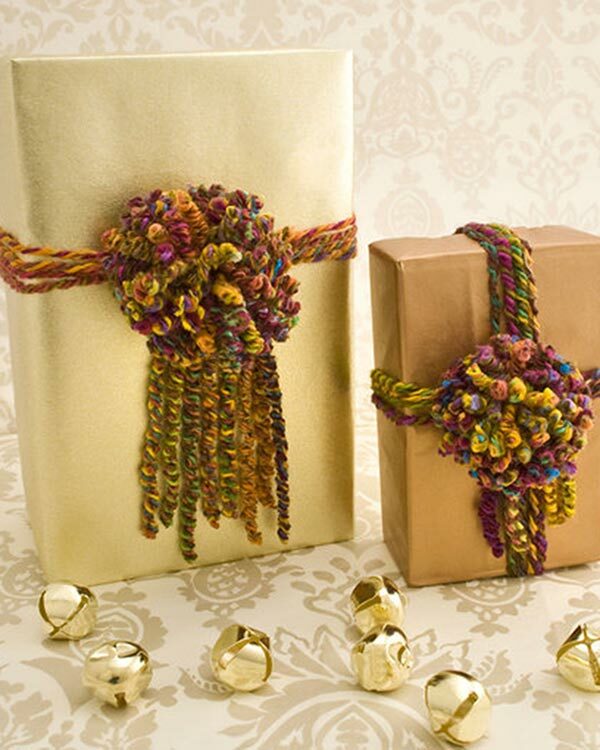 Attach the pompom to a gift bag or wrapped package with yarn. Tie some extra lengths of yarn below pompom if desired.